Maui's south shore includes the resort areas of Kihei, Wailea and Makena. The further south you get, the more remote and less crowded the beaches become. 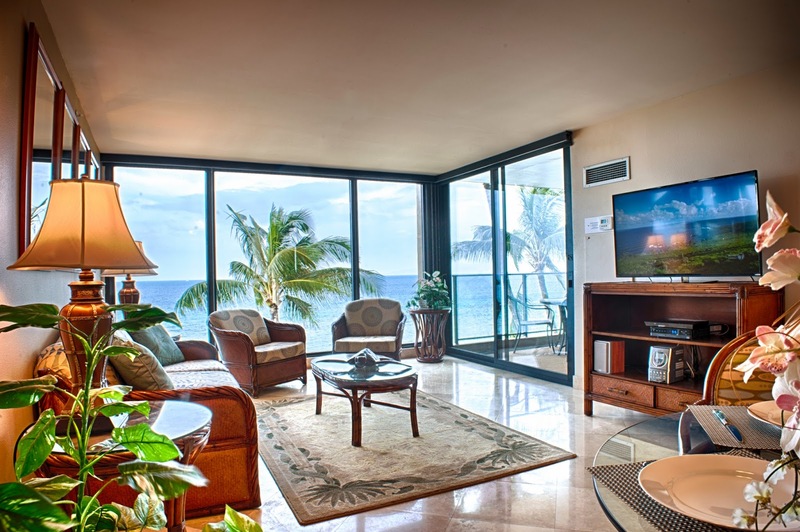 South Maui offer excellent access to many fine beaches with western facing shores and gorgeous outer island views. 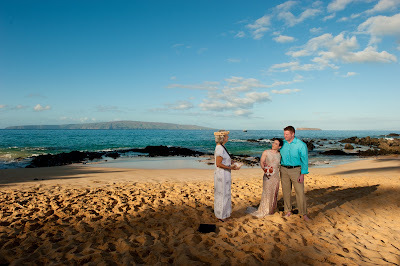 The closest beach outside of the Wailea resort is Poolenalena Beach (Chang's) and is a favorite spot for our intimate and casual Maui Weddings. Amy and Craig got to enjoy a breezy and cool afternoon at Chang's this summer along with our minister Diana George and Maui Wedding Photographer Joe D'Alessandro. 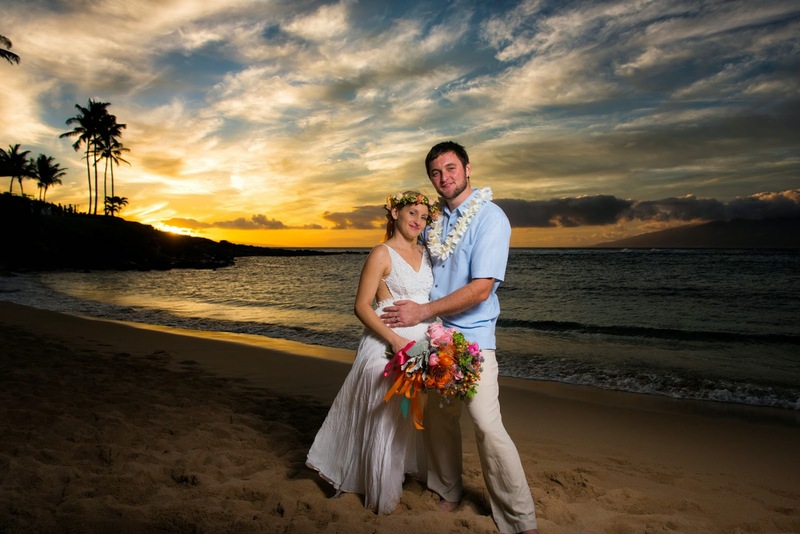 They chose one of our medium Maui Wedding Packages which included a full hour of photography and full reproduction rights for their digital files. 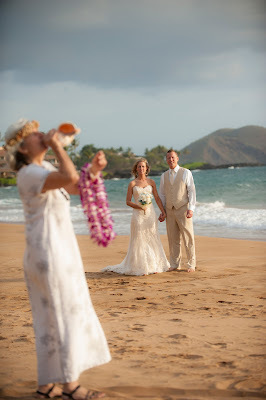 We'd like to post a few of those images here as a taste of what we can do for you on you Maui Wedding day! 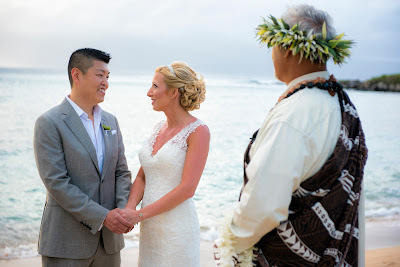 Being involved in the Maui wedding scene since 1987, we have had the experience of working with thousands of couples and dozens of wedding vendors both as photographers and wedding planners. 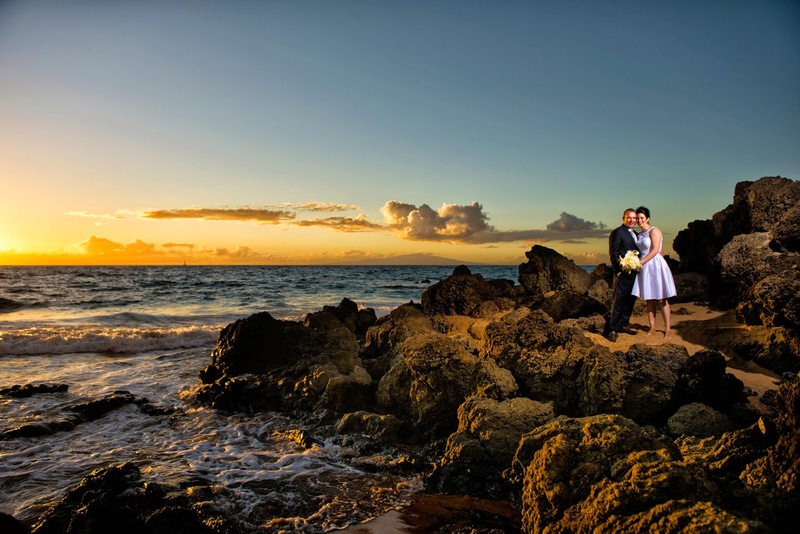 Maui weddings haven't changed a whole lot in those years but there sure are a lot more options for couples wishing to elope to our spectacular island! The beaches are the same as they always were, pristine and beautiful but there are more private and semi-private options available, wedding planning packages, photography packages, videography, Maui wedding ministers, and a whole slew of options to make your head spin. 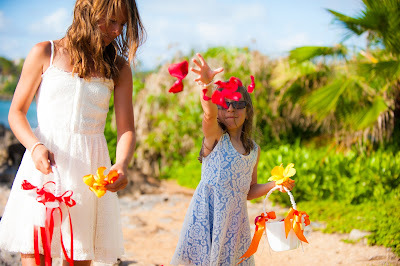 We thought it might be nice to have a handy guide on the 6 things you should consider when planning your Maui wedding. 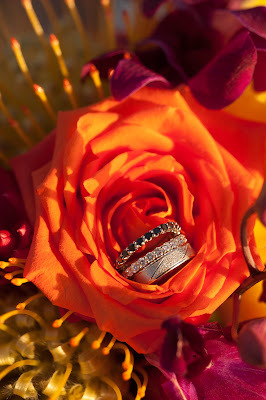 It's been a great start to a new year here on Maui for Marry Me Maui Wedding Planners. We've been booking new brides, coordinating and photographing old bookings and just generally having a great time. Winter on Maui is spectacular. The temperatures during the day are generally mild and breezy and the evenings are cool enough to require a light jacket if you're outdoors. The north shore is currently encountering a huge surf swell so it's also a good time to bring your surfboard and work on your high speed balance!